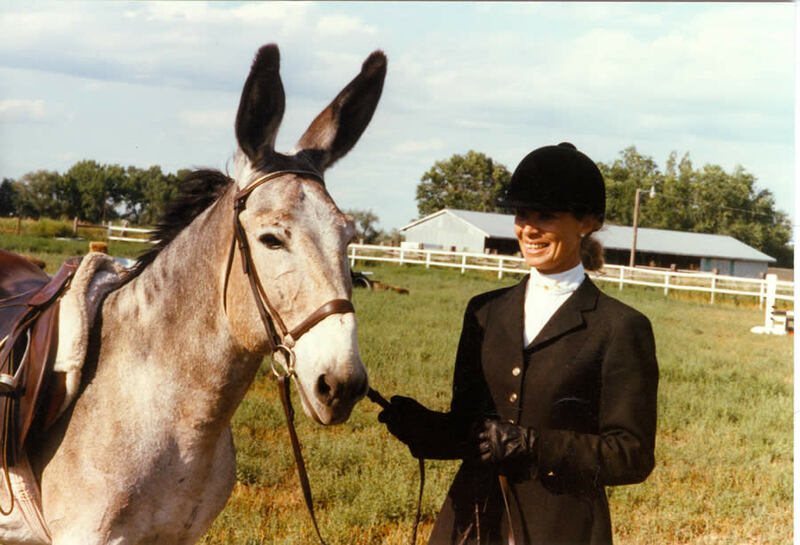 For years Meredith Hodges has remained committed to her mission to foster the public’s interest in mules and donkeys and broaden our understanding of these wonderful animals. Her dedication has brought recognition in many forms. 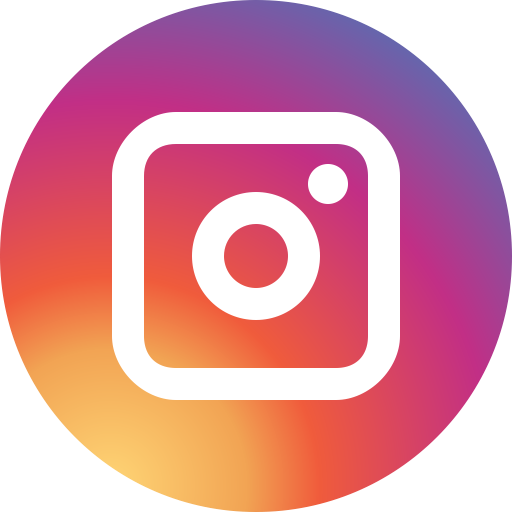 Meredith’s many productions of Those Magnificent Mules, Training Mules and Donkeys, and the Jasper series have received 20 Telly awards, five Vision awards, and multiple publishing awards and recognitions. 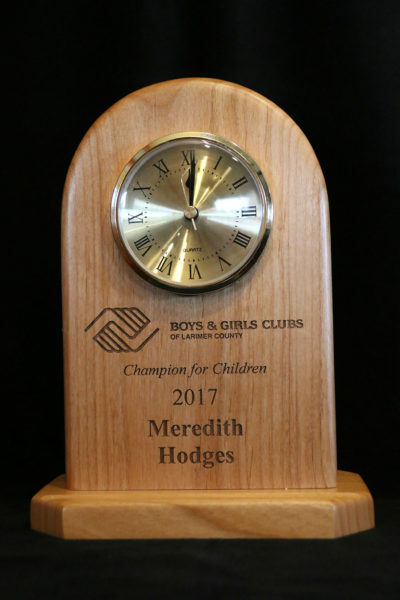 Below is a timeline of some of the many awards and acknowledgments Meredith has received. 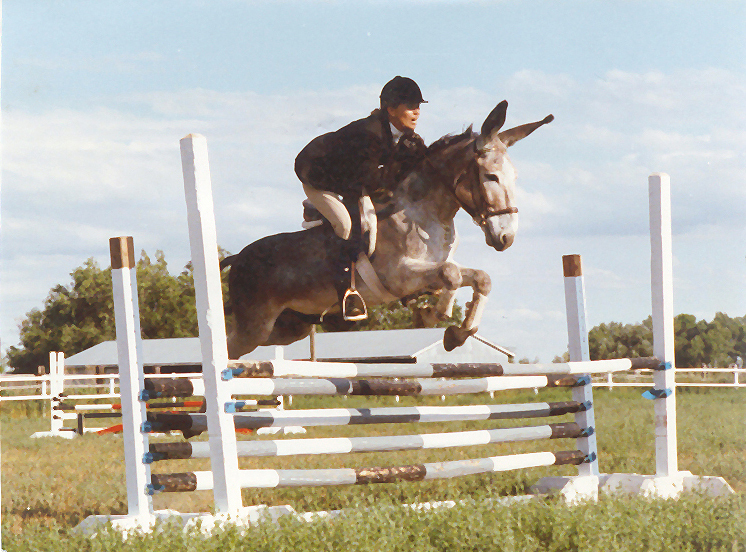 1986 – Meredith establishes the Colorado Mule & Donkey Society. 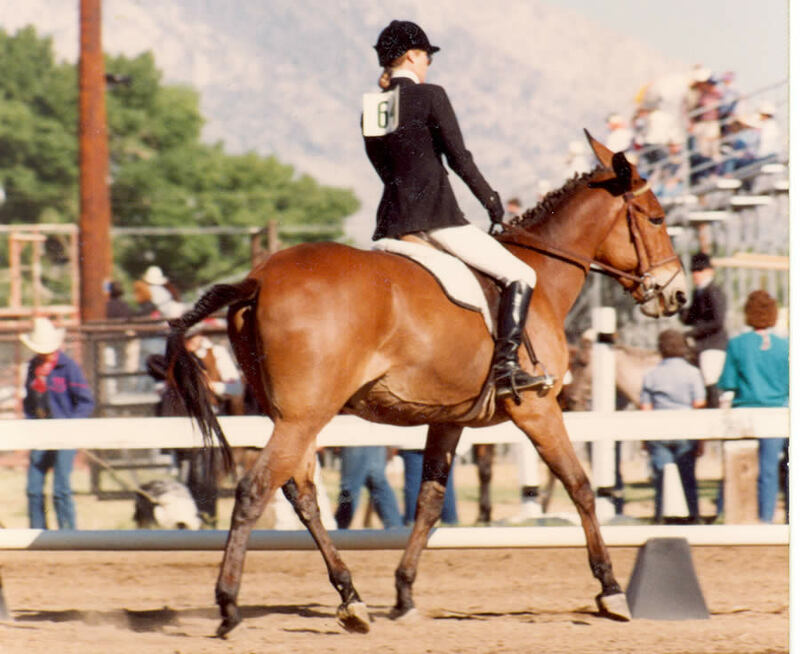 1986 – Meredith gives a presentation entitled, “Mules in Dressage” to the United States Dressage Federation in Houston, Texas. 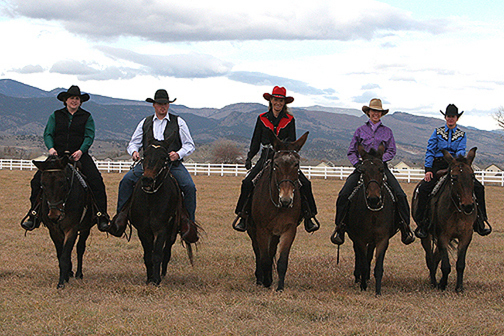 Mules are accepted nationally at non-AHSA shows and competitions. 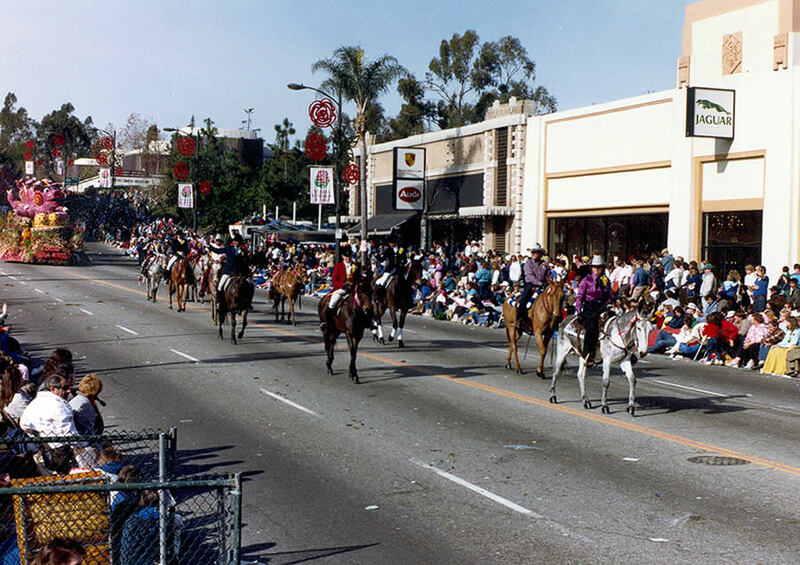 1988 – Three of Meredith’s mules march in the Tournament of Roses Parade in Pasadena, CA. 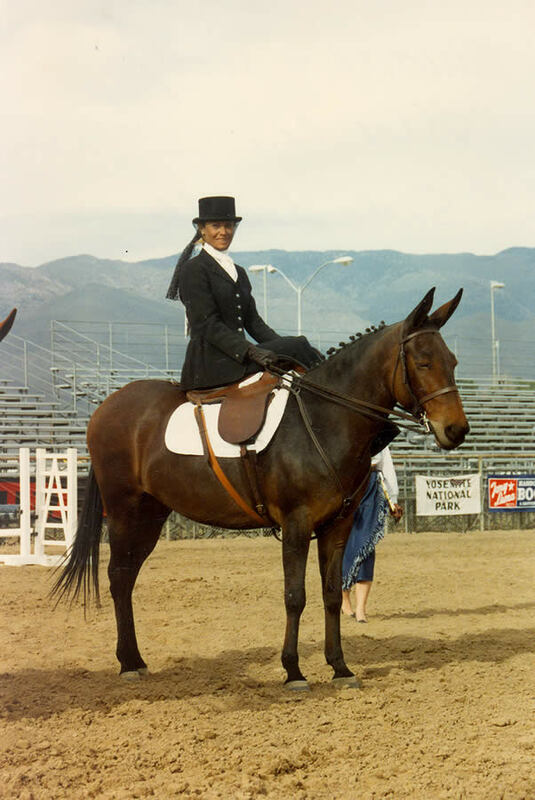 1991 – Lucky Three Ciji is International Side Saddle Organization All-Around Champion. 1991 – Meredith rides Little Jack Horner to jump over four feet in exhibition at Bishop Mule Days, setting the world record. 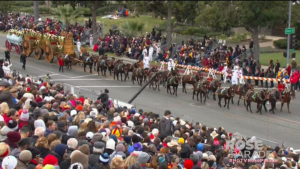 Little Jack Horner becomes the world’s first Formal Jumping Donkey. 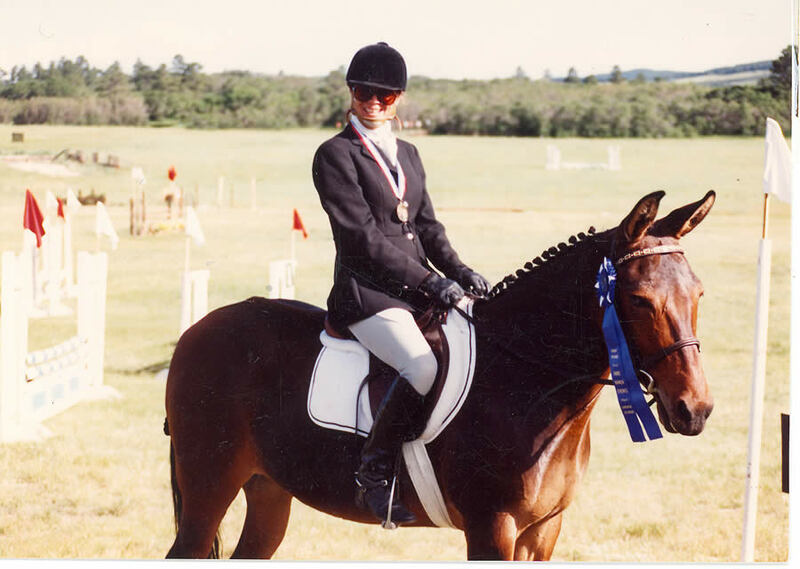 1992, 1993 – Meredith rides Lucky Three Sundowner to two World Championships at Third Level Dressage. 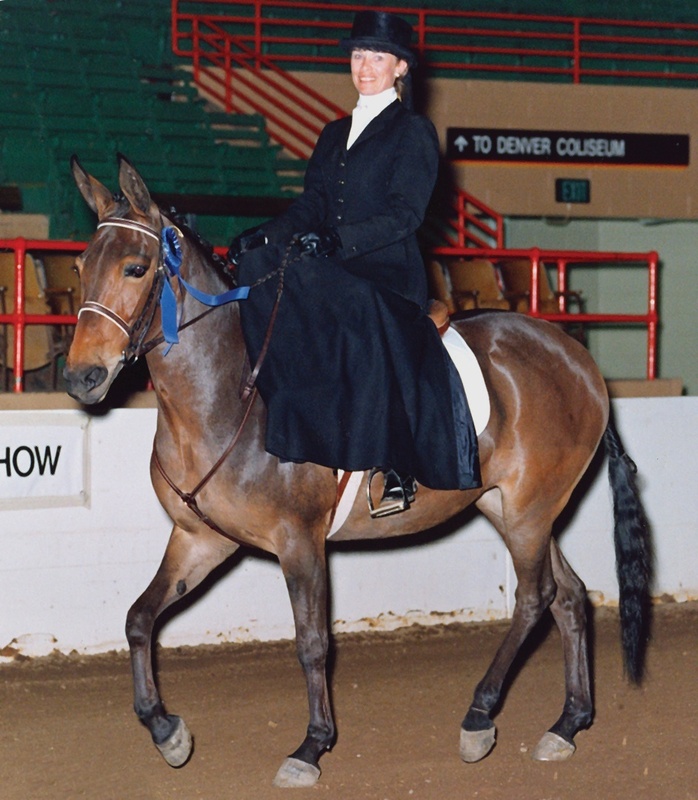 1992 – Lucky Three Ciji is named Reserve International Side Saddle Organization All-Around Champion. 1993 – Lucky Three Mae Bea C.T. takes first place in the Novice Division at the Abbe Ranch Horse Trials in competition with 56 horses. 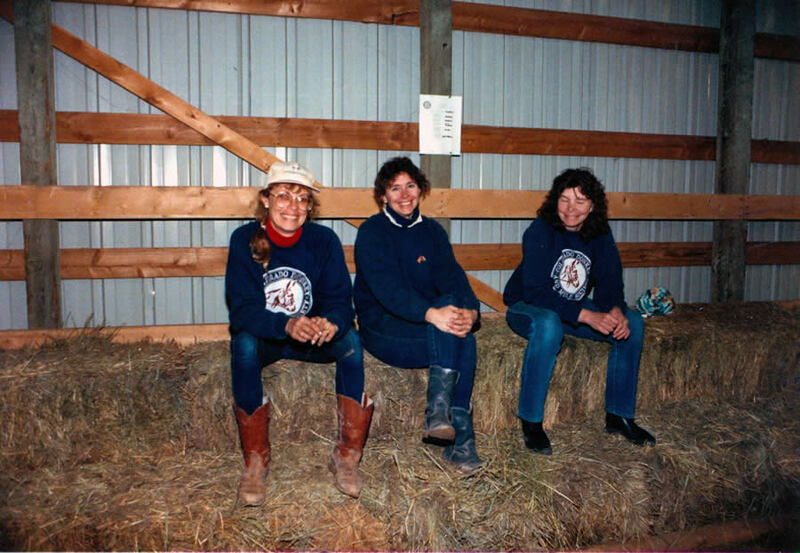 1993 – Meredith rides Lucky Three Mae Bea C.T. 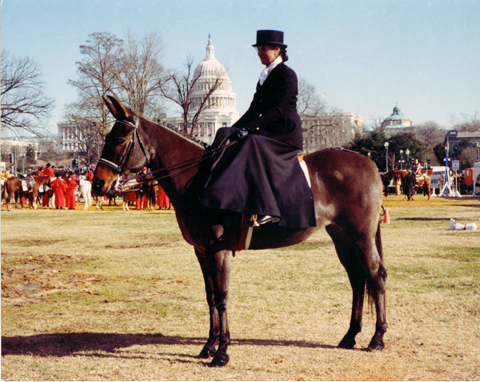 in the Presidential Inaugural Parade in Washington, D.C.
1997 – Meredith is awarded the Lifetime Achievement Award by the North American Saddle Mule Association. 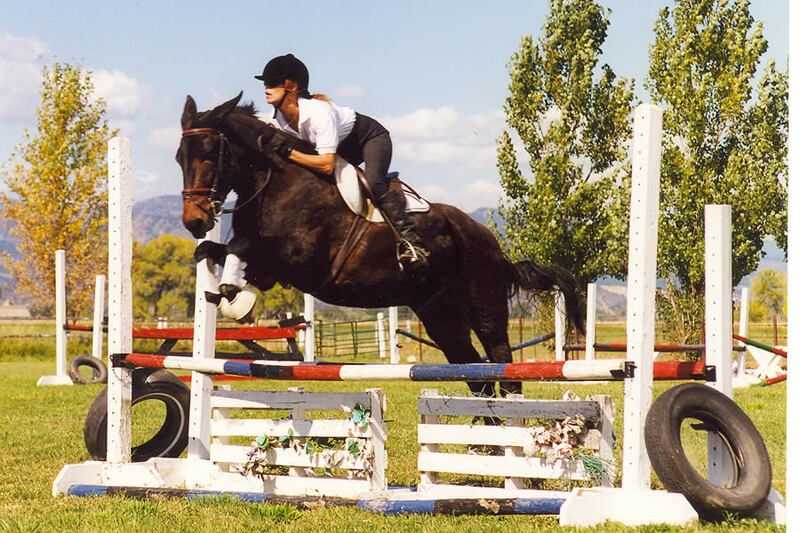 1998 – Lucky Three Eclipse is named Bishop World Champion Warm-up Hunter. 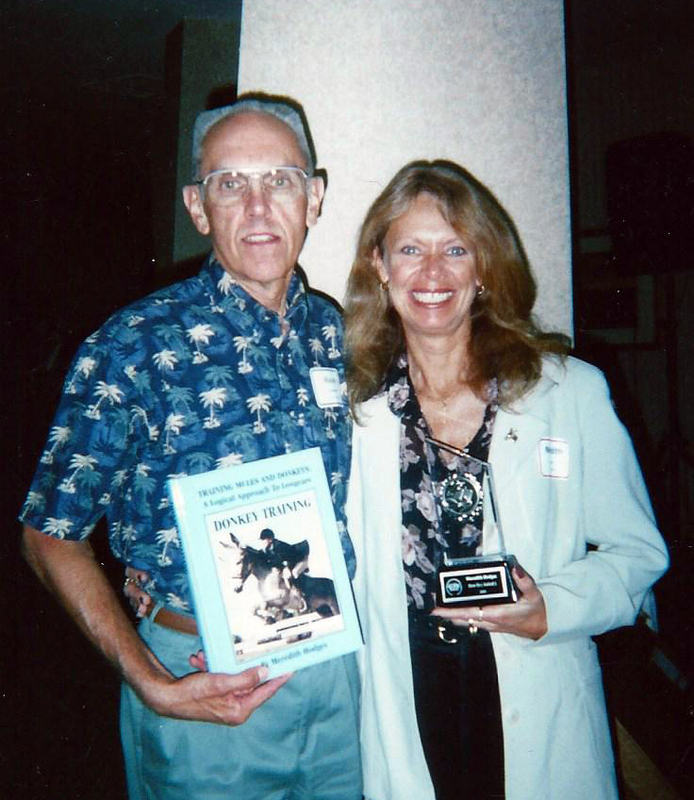 2000 –Meredith’s book Donkey Training wins the silver medal in the Animals category at the Independent Publisher Book Awards. 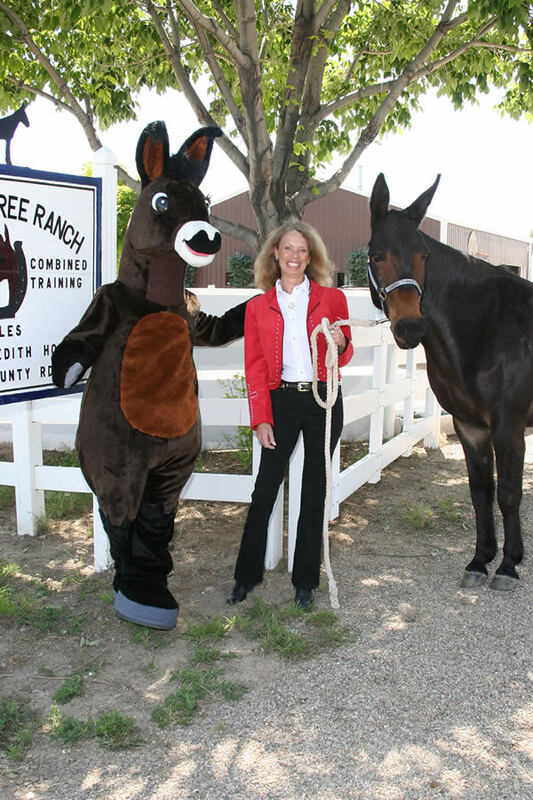 2002 – Meredith’s television show, Training Mules & Donkeys, debuts on RFD-TV. 2004 – The award-winning Jasper the Mule series of children’s books is published, and a companion series of animated specials begins production. 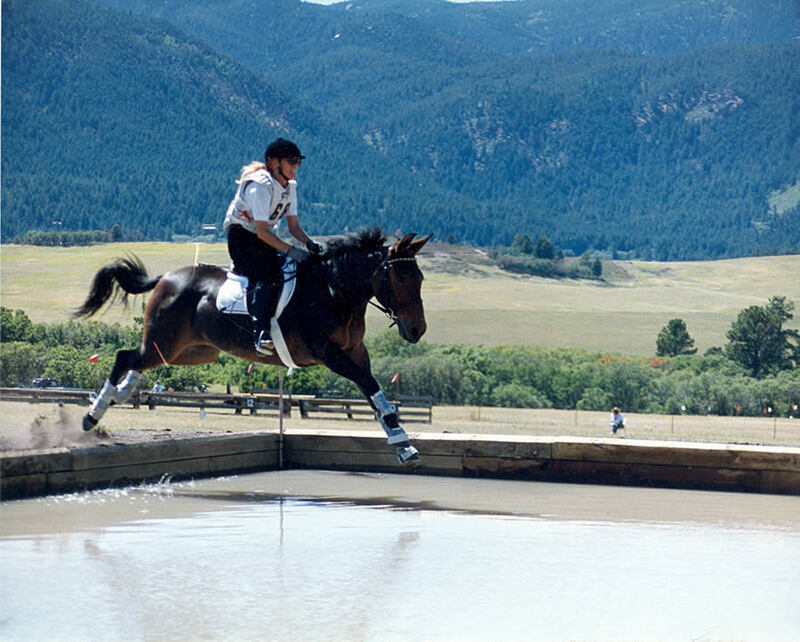 2005 – Meredith receives a commendation from the Colorado State Senate for her tireless efforts on behalf of and long history of service to the Equine Community. 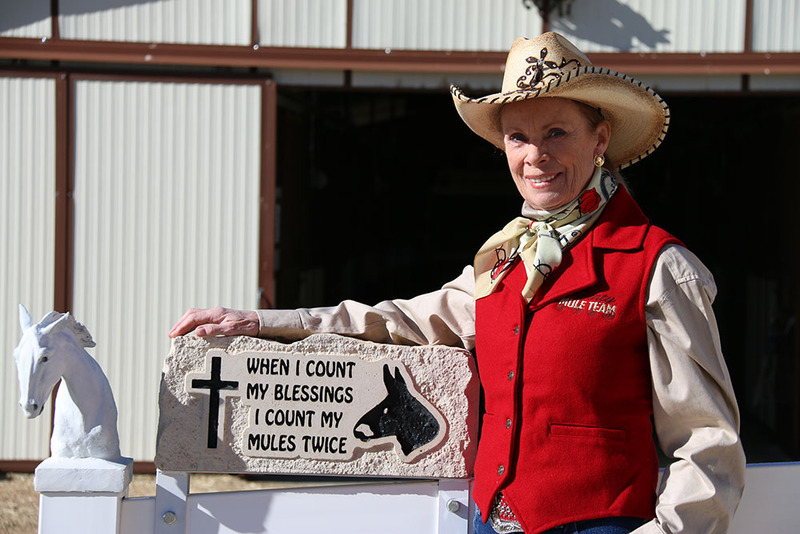 2006-2009 – Meredith produces the award-winning documentary series, Those Magnificent Mules, aired on RFD-TV. 2006 – Mae Bea C.T. is inducted into the Bishop Mule Days Hall of Fame. 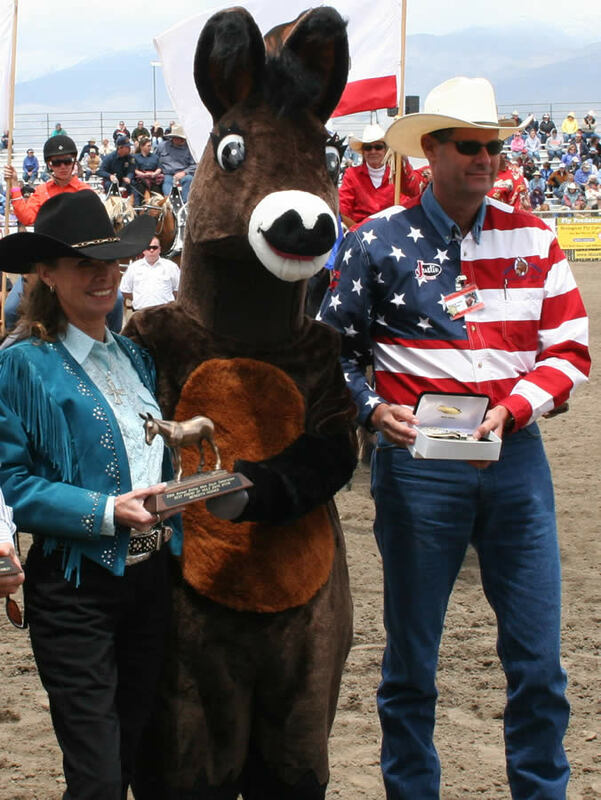 2008 – Meredith is presented with the “Best Friend of Bishop Mule Days” award at the annual Bishop Mule Days Celebration. 2010 – The children’s film, Jasper Goes to Bishop, is a finalist at the San Diego International Children’s Film Festival and Moondance Film Festival, and wins the Silver Mixed-Media Award at the Jamfest Film Festival. 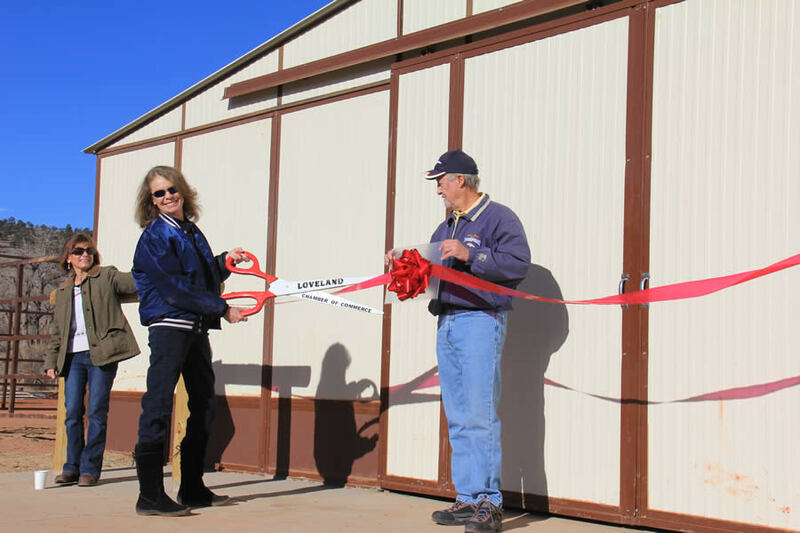 2013 – TMD Equine University is approved by the Colorado Department of Higher Education Private Occupational School Board to begin accepting students. 2013 – The new edition of Training Mules and Donkeys wins the gold medal in the Animals category at the Independent Publisher Book Awards. 2014 – Little Jack Horner is accepted into Bishop Mule Days’ Donkey Hall of Fame for his career as a performance donkey. 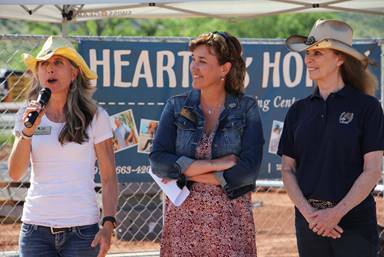 2018 – Meredith helps Tamara Merritt and Jan Polema lead the campaign to build a new double-sized indoor arena/exhibition center for the Hearts and Horses Therapeutic Riding Stables that she has sponsored for more than 20 years to date. 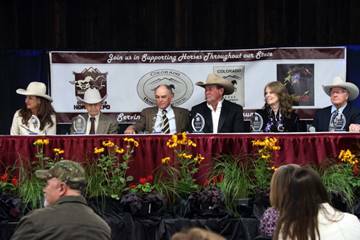 2019 – Meredith Hodges (American Donkey & Mule Society Representative, Animal inspector & Judge, Author & Producer) was inducted into the Rocky Mountain Horse Expo Hall of Fame on February 28th in Denver along with Julie Goodnight (RFD-TV instructor), Dr. Robert Miller (Veterinarian who wrote the book on “Imprinting”), Denny Emerson (Olympic Gold medalist in Combined Training), Pat Parelli (Natural Horsemanship) and Richard Shrake’s brother, Greg Shrake, stood in for Richard (AQHA Congress Instructor/Judge).